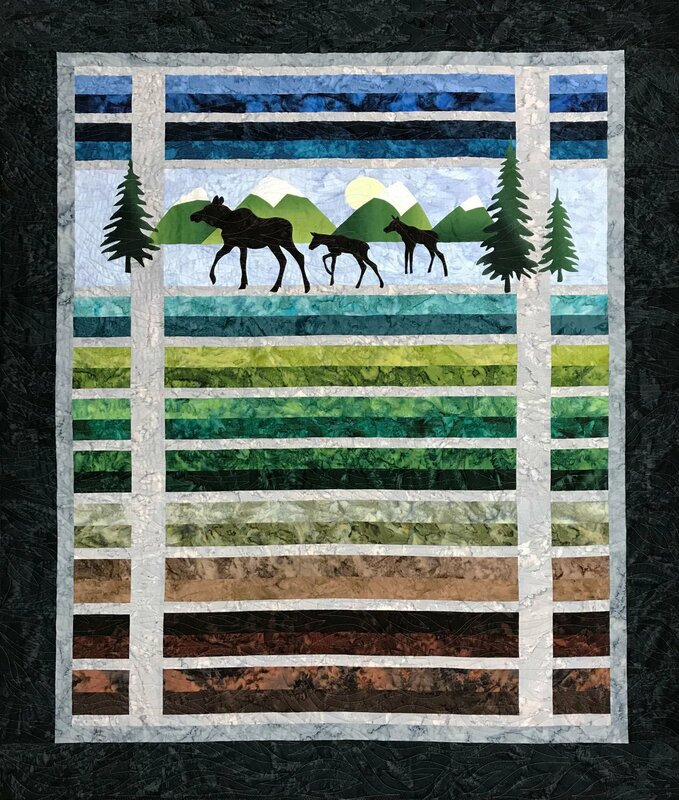 Finished Size 60 1/2" x 77 1/2"
Moose Trio designed by Marie Noah combines traditional piecing with fusible applique. Complete full color instructions for piecing and "Easy Fusible Applique" Techniques. Laser cut, pre-fused appliques, fabrics to complete quilt top and binding as pictured.